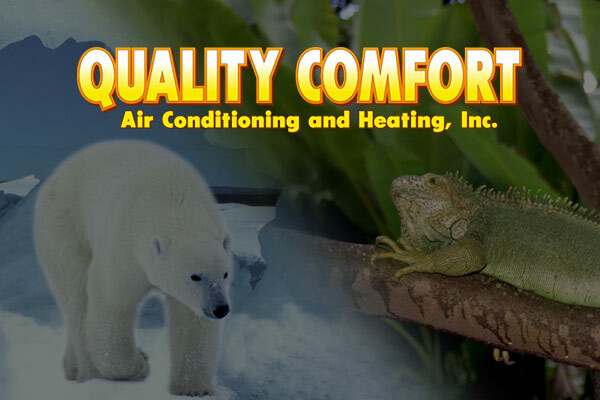 Services - Quality Comfort Air Conditioning and Heating Inc. Here at Quality Comfort, we stand behind all our work; our word is our bond. Our expert technicians provide honest, reliable services to all of our customers. Our company is an accredited business member of the Better Business Bureau of Central Florida, with an A+ rating and zero complaints filed! We know exactly how important your air conditioning and heating system is to you and we will do everything we can to make it efficient, safe, and affordable. Having a working air conditioner is critical when living in Florida where the temperatures can reach incredible highs, not to mention the humidity that can get so bad at times that you instantly start sweating the second you walk outside. We often find that people take their HVAC systems for granted until something is wrong with it. This can sometimes turn into an urgent matter, especially in the middle of summer here in Brevard County. That is why we offer 24 hour emergency service with no overtime charges! We service ALL brands of equipment. No matter the problem with your AC or heating system, we can repair or replace it. Air conditioning units are complex, so there’s a lot that can go wrong with them. When you need AC repairs, it is imperative that you contact a professional who is ready and willing to come out and fix it at any time; day or night. Our experienced AC repairmen are familiar with even the most complex systems. They are always standing by, ready to help you in your time of need regardless of the brand or who initially installed it. Owning a high quality air conditioning and heating system can make all the difference in efficiency and reliability. Although many issues can be repaired, you may find yourself in need of a replacement air conditioner if it consistently gives you problems or stops working entirely. In many occasions, an old or worn out unit can actually end up costing you more money than simply replacing it with a new one. If you find yourself routinely in need of an AC repair service, or if you just want to upgrade, our experienced team of skilled technicians is more than happy to assist you. Even better, allow our HVAC experts to perform routine maintenance and tune ups to prevent problems in the first place and keep your system running smoothly. The hot Florida sun and intense humidity is hard on your air conditioning and heating unit, which is why it is a good idea to service it regularly. With our service agreements, we will perform regular maintenance on your unit so that we are able to detect potential problems and fix them immediately, before it has a chance to interrupt your daily life. We also offer options for air purification. With the variety of factors that negatively affect the air quality of your home, such as cleaning and pest control products, you might want to consider UV light and filtration options to keep the air in your home as pure as possible. Check out some of our products, like the Allergy Gold® air filters or Second Wind™ Air Purifier products, to see what you can do to improve your indoor air quality. Whatever you need, the professionals at Quality Comfort Air Conditioning and Heating, Inc. are happy to answer any questions, and work with you to maintain the comfort of your home. Give us a call today for more information about the services we offer!